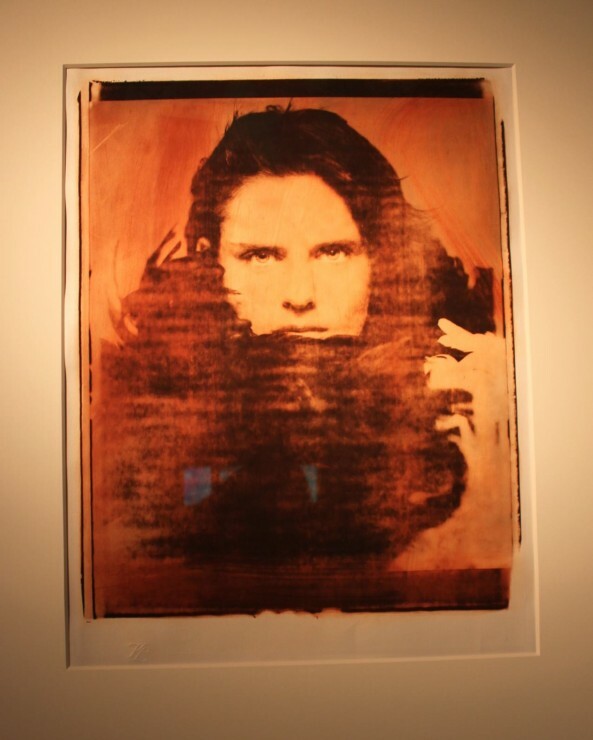 You are currently browsing the archives for the tag 'Krystyna Gmurzynska'. 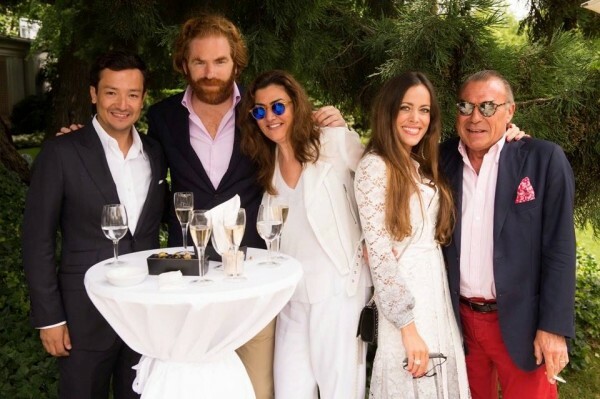 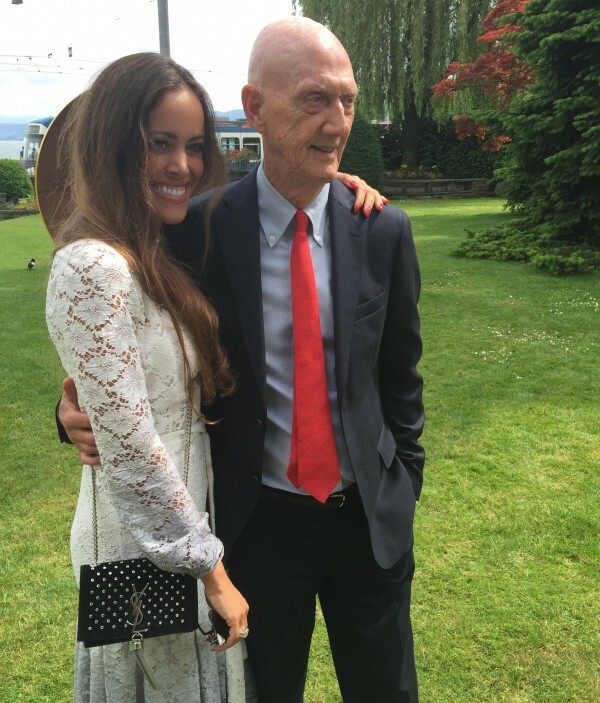 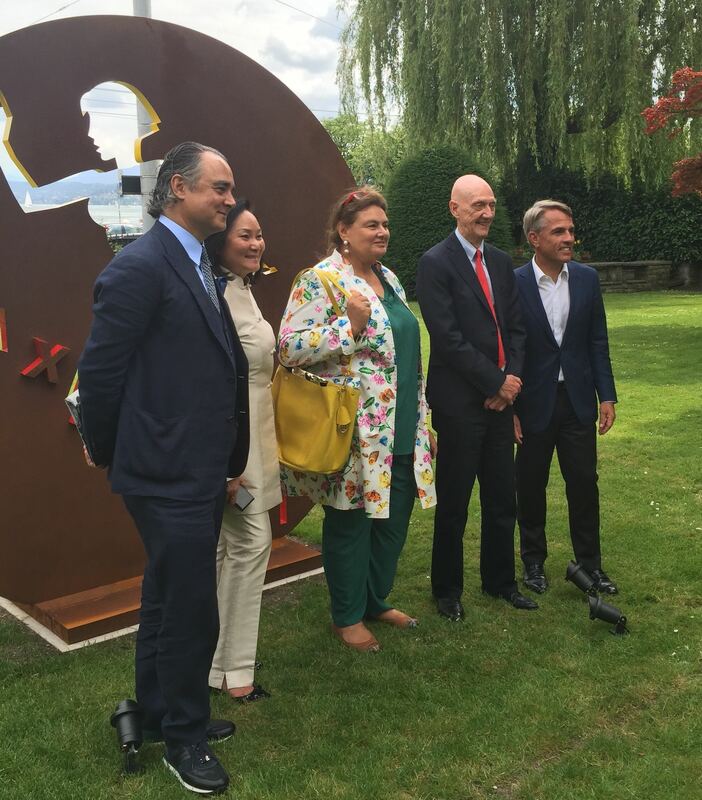 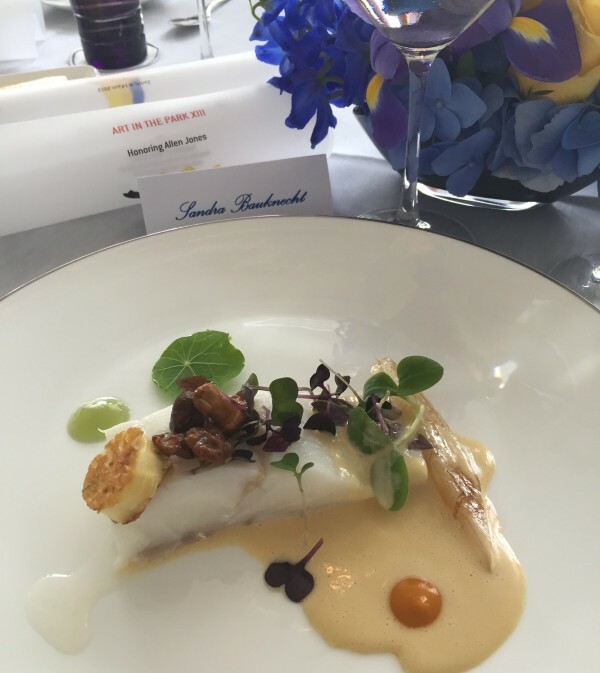 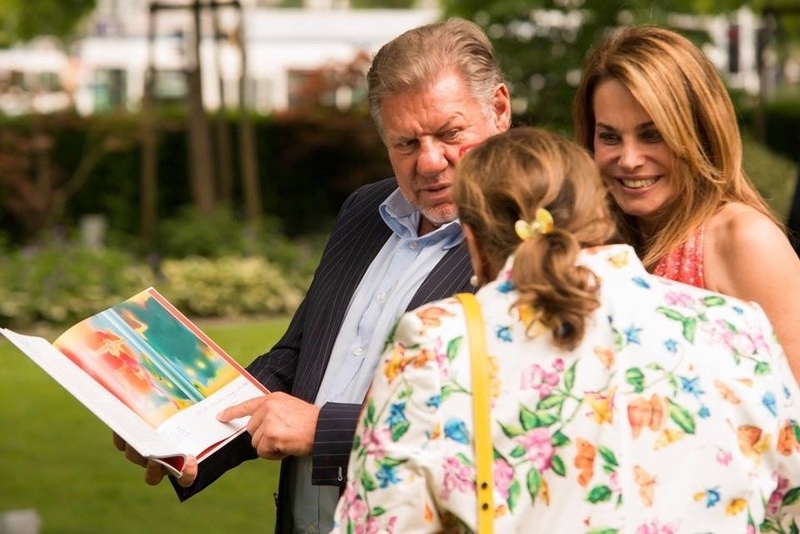 The opening of the annual outdoors exhibition ART IN THE PARK in the lovely gardens of the BAUR AU LAC hotel has been a highlight of Zurich’s summer social calendar since its beginning. 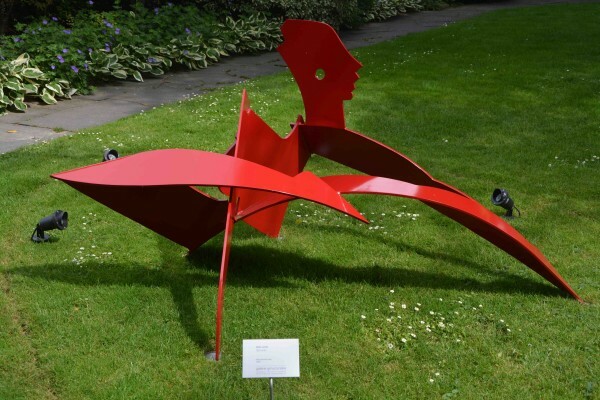 Hosted by Gigi Kracht, in collaboration with Galerie Gmurzynska, this year’s INSIDE OUT is a solo showcase of sculptures by artist Allen Jones, one of the pioneers of British Pop Art. 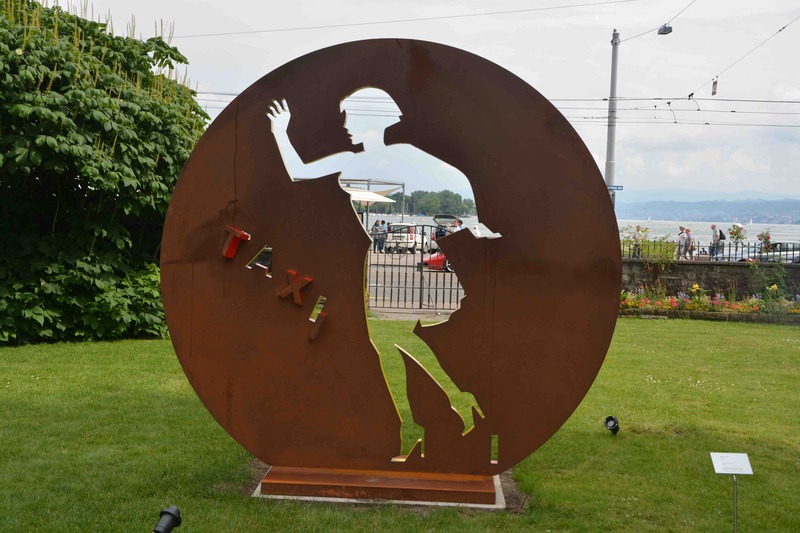 His sinuous, brightly colored reinventions of the human form will be on display until August 23, 2015 in the property’s half-acre park set on the shores of Lake Zurich. 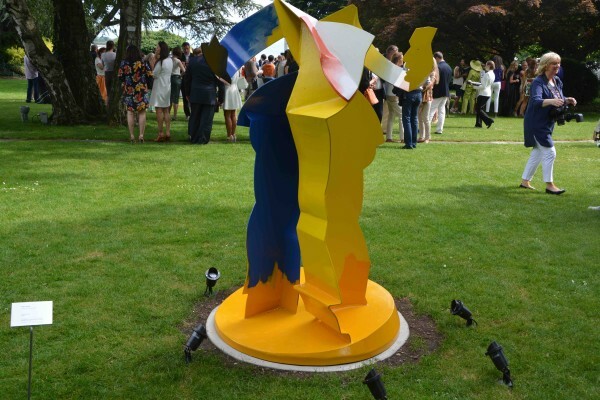 The contemporary pieces, including «Taxi» and «Sprawl», are mostly abstract and use interlocking sheets of steel painted in colors like cobalt and primrose. 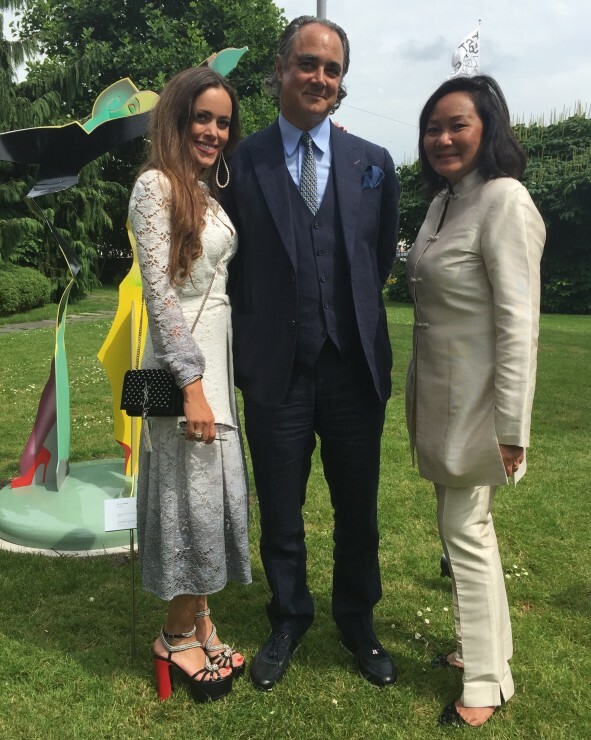 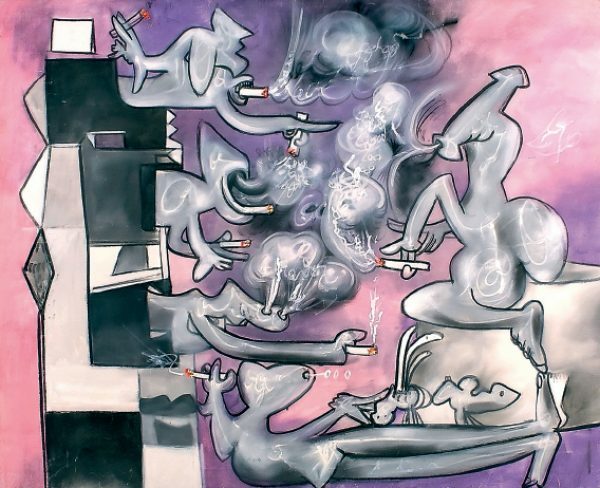 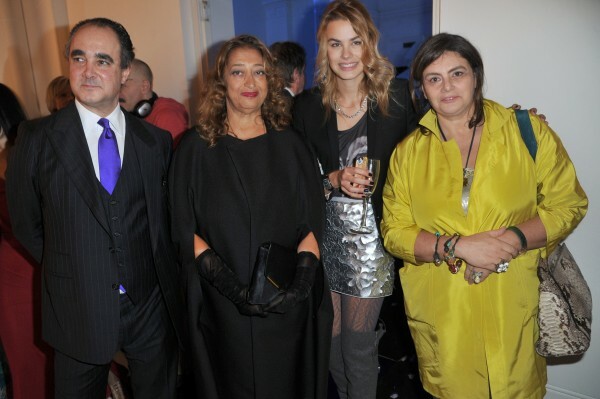 Gigi Kracht, the wife of Baur au Lac’s owner, Andrea Kracht, created the show and collaborates with the international art gallery Galerie Gmurzynska to choose the artists. Here she is having a dialogue with Allen Jones during the seated lunch. 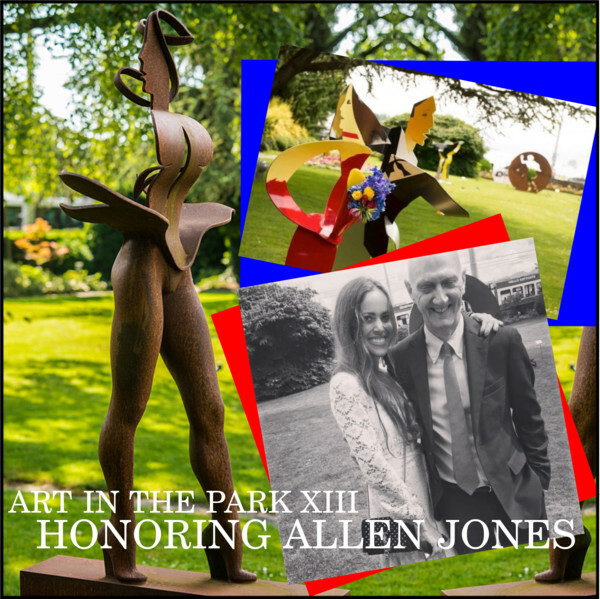 If you are interested in last year’s Art in the Park, click here for the previous post. 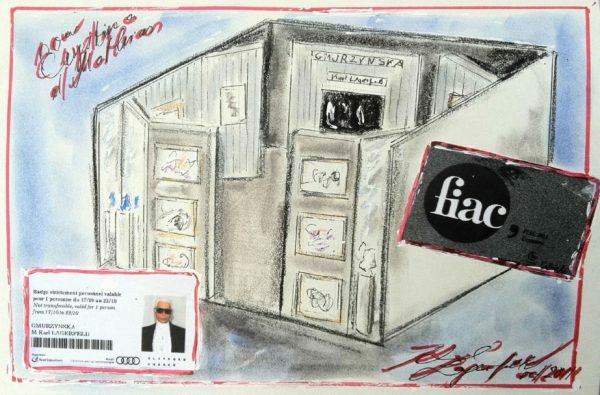 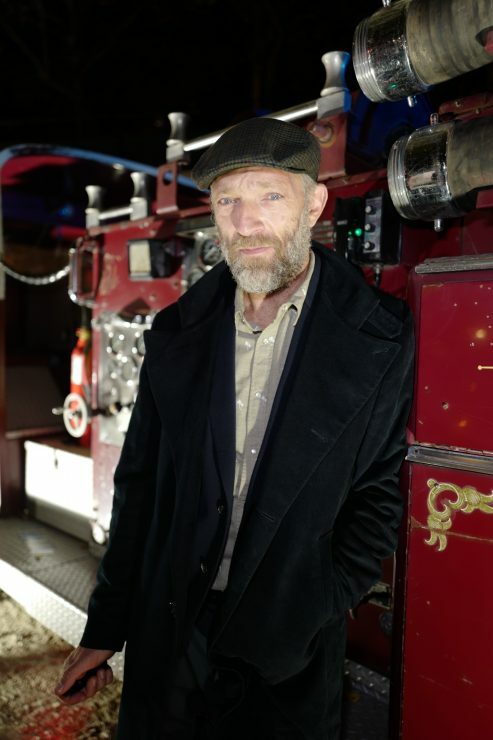 Yesterday, I drove from Zurich to St. Moritz to attend a very intimate event at Galerie Gmurzynska for the exhibition opening of a new unique work by Karl Lagerfeld, in a brand new medium: “FIRE ETCHINGS”; forming the artist’s answer to contemporary portraiture. 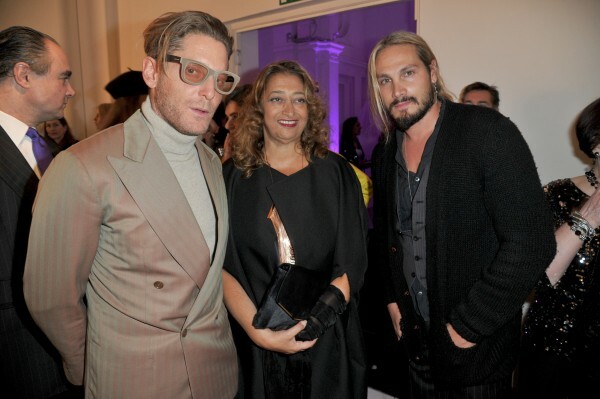 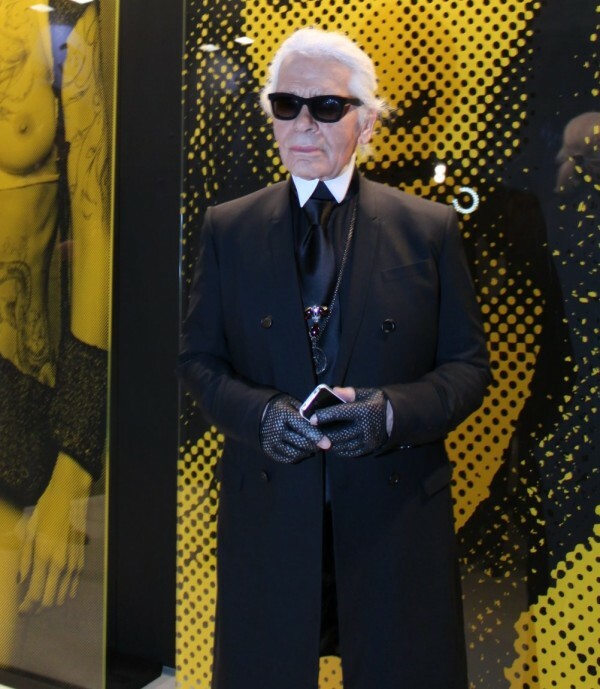 As I knew that Karl Lagerfeld would be present, there was no doubt, I had to be there. 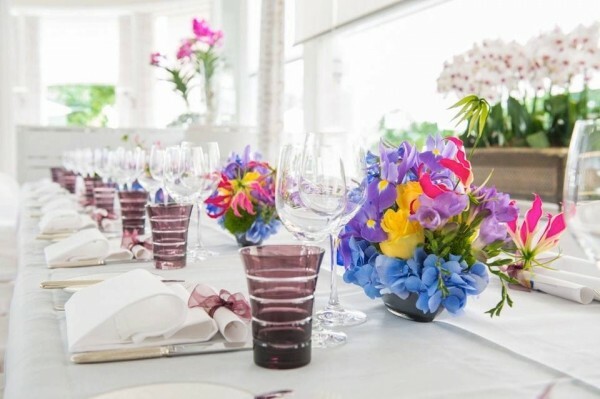 First, the invitation was supposed to be a dinner which was changed last minute into a brunch. 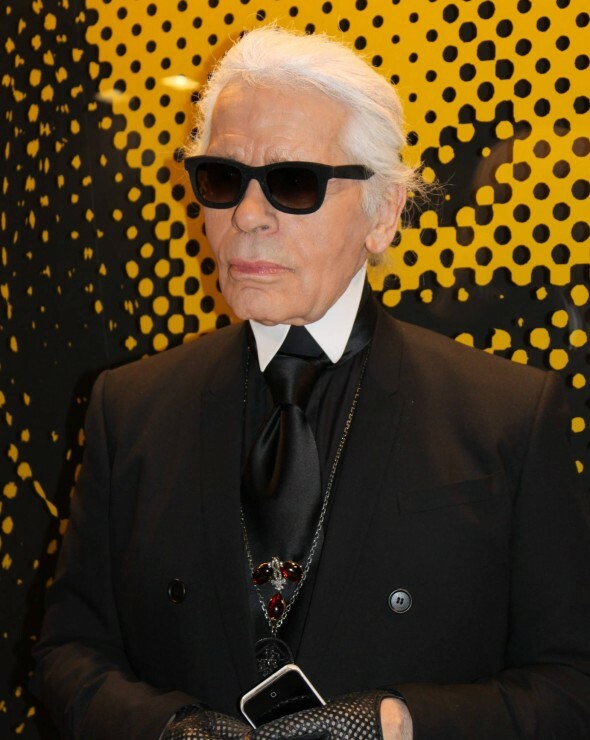 The guests were waiting patiently for over three hours for Karl Lagerfeld’s plane to land. When he entered the room, his presence was unbelievable. 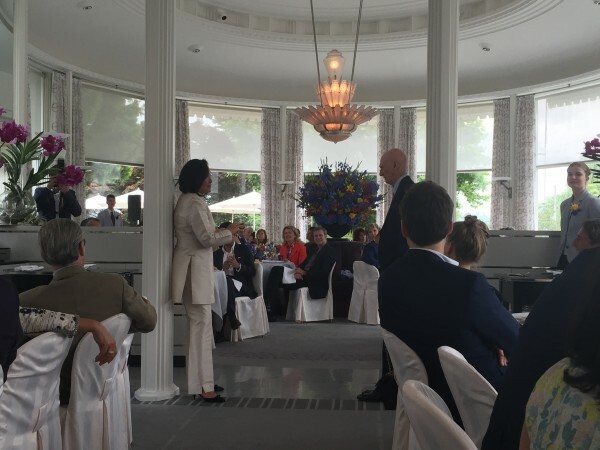 He shook hands and talked to everyone. 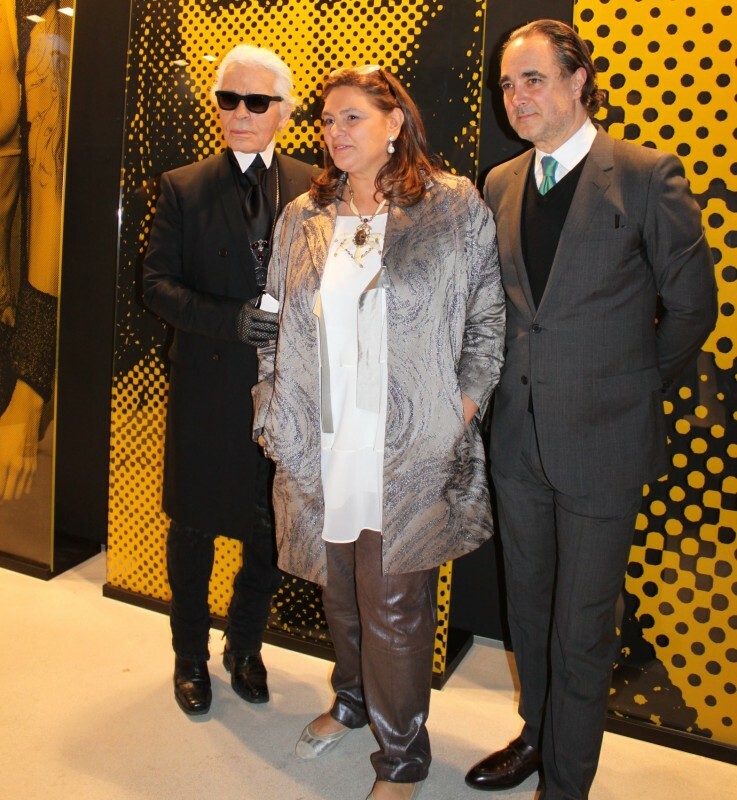 A magic moment: Shaking hands with Karl Lagerfeld. 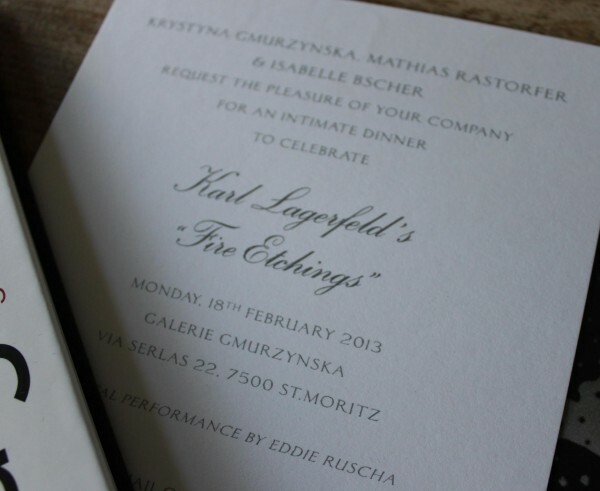 “FIRE ETCHINGS” is truly outstanding. 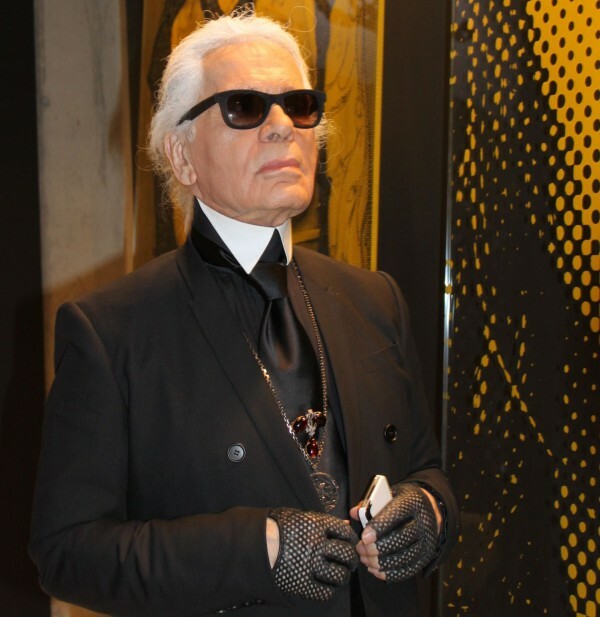 On display was Karl Lagerfeld’s gigantic body of work created from backlit glass that has had its image etched into the surface. 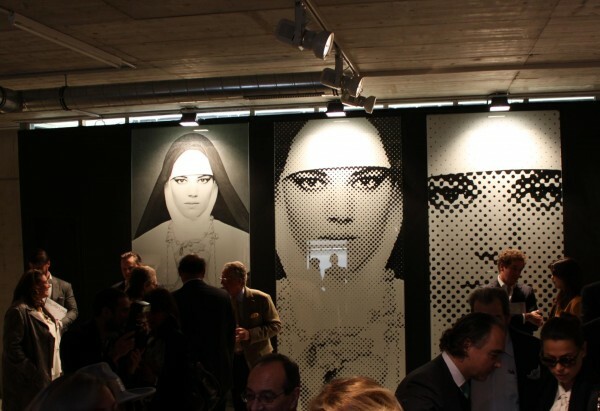 The “Kaiser” explained that a company near Nuernberg, Germany, which usually produces church windows manufactured his artwork for him. 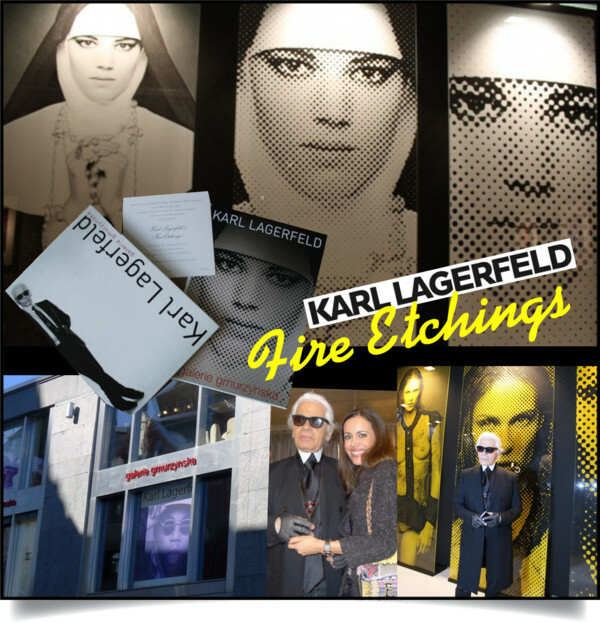 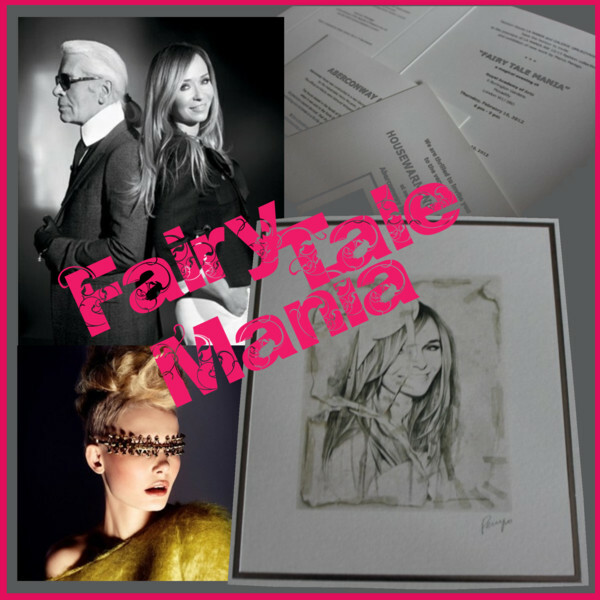 Large scale and unique, for “FIRE ETCHINGS” Lagerfeld has abstracted some of his current muses: the rapper, Theophilus London; and the models, Freja Beha Erichsen and Aymeline Valade. 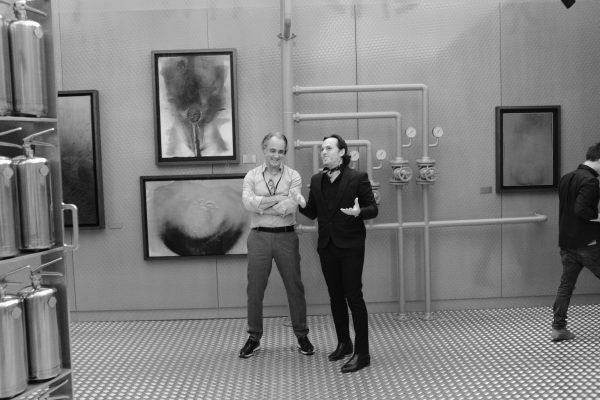 In his hands the whole time? 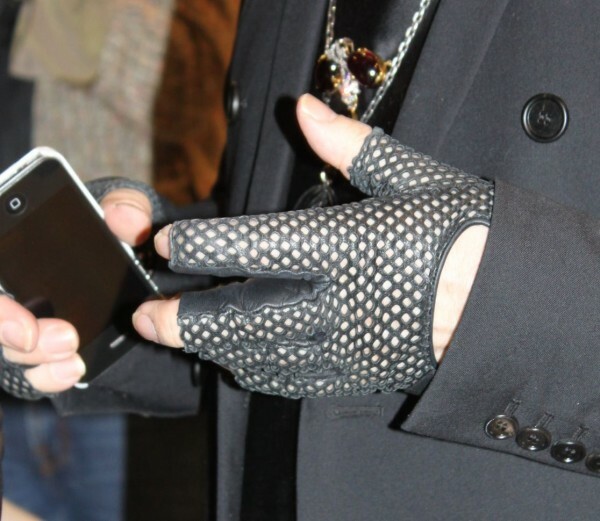 His iPhone with a Karl by Karl Lagerfeld cover. Also present at the exhibition opening were actor Rick Yune to the left (2 Fast 2 Furious and James Bond – Die Another Day) and famous L.A.-based DJ Eddie Ruscha. 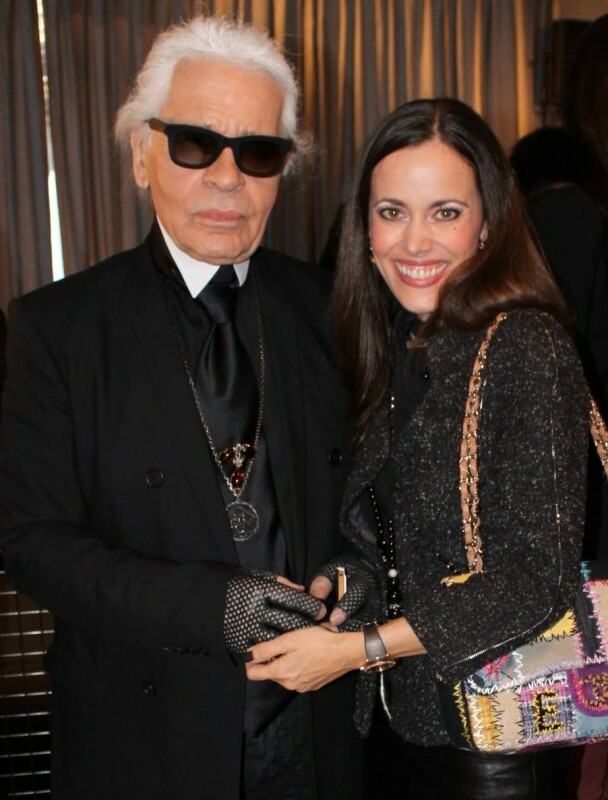 My look: Leather and cotton-jersey sweater , chain-trimmed leather mini skirt, both by Saint Laurent and jacket, scarf, cuff, bag, all by Chanel, fur boots and coat, both by Prada. What an amazing day! 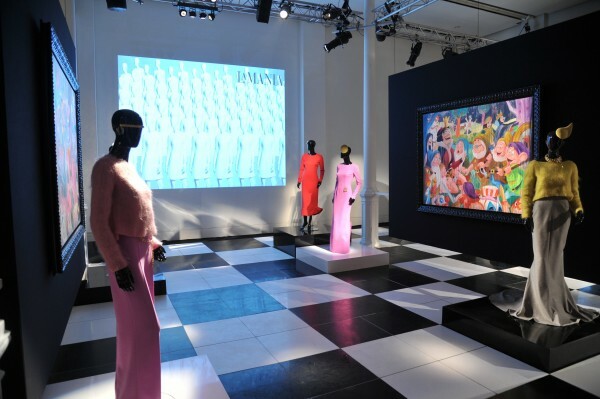 If you are interested, the exhibit in St. Moritz will remain open until the 23rd of March, 2013. 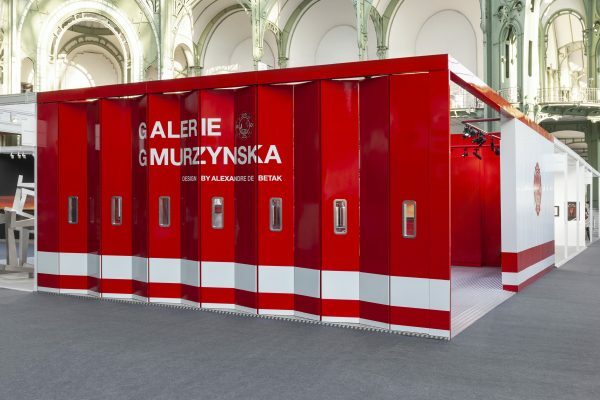 For further information, please contact the Galerie Gmurzynska directly.